Together, Mr. Berube and Mr. Durkin will be integral to National’s continued expansion of its capital markets business and geographic presence. Michael Mullen, Chairman and Chief Executive Officer of National stated, “We are extremely pleased to have Mark and Tom join our team. From our new Boston office, they will be integral in growing National’s capital markets business. Mark and Tom will have an immediate impact by adding key buy-side relationships and enhancing our core institutional competencies. Mark Berube joins National Securities after serving as a Vice President at Drexel Hamilton, where he worked with Thomas Durkin to establish the company’s Boston regional trading desk. Before this, Mr. Berube was a Managing Director at GL Capital Partners, where he managed sales and business development for the emerging asset manager. Over the course of his career, Mr. Berube has also held senior management positions at Weeden & Co., Think Equity, Leerink Swann & Co., and Bear Sterns & Co. Mr. Berube received his B.A. from Skidmore College and holds his Series 7, 55, 63 and 65 licenses. Prior to joining National, Thomas Durkin was a Vice President at Drexel Hamilton, where he worked with Mark Berube to open the Boston regional trading desk for the company. Mr. Durkin also held a Director position at Avondale Partners. Prior to this, Mr. Durkin spent 10 years at Wedbush/Pacgrow Life Sciences, where he recruited and opened the firm’s first regional equity trading desk in Boston. 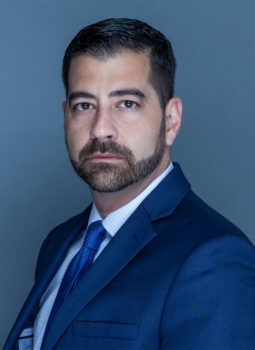 He also held senior roles at BB&T Capital Markets, Weeden & Co. and State Street Bank & Trust, where he was a key member of each firm’s equity trading team. Mr. Durkin received his Master of Science in Finance from Suffolk University and his B.A. in Economics from the University of Massachusetts. He holds his Series 7, 55 and 63 licenses.